Iga is known as the birthplace of the Iga-ryu ninja, one of Japan’s leading schools of ninjutsu (the art of stealth). 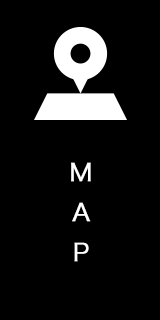 Ninjutsu developed here and Iga ninja played important roles all through Japan. Ueno Park, which once formed the grounds of Ueno Castle, is located in the central area of the city. It is home to Iga’s most popular tourist attractions such as the Iga-ryu Ninja Museum, Ueno Castle and Danjiri (festival float) Museum. Many other tourist attractions are scattered around the areas within walking distance from Ueno Park. 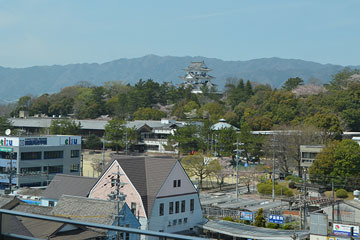 Downtown Iga was a castle town developed in the early 17th century, inhabited at that time by samurai warriors. The historic buildings and streetscapes were developed more than 100 years ago still remain. 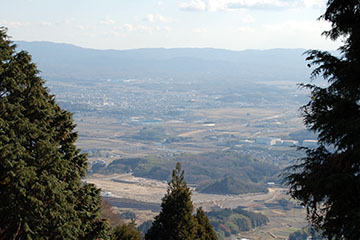 Around the town, rice fields spread out surrounded by deep mountains. There are also spots where you can enjoy Japanese nature such as the Akame Shijuhachi Taki (Akame 48 Waterfalls) and the Aoyama Kogen (Aoyama Highlands). * Visitors can enjoy a hike filled with waterfalls along the Akame 48 waterfalls trail, where ninja are said to have trained. Iga is located in a basin surrounded by mountains. It is very hot in summer while very cold in winter, although it rarely snows. These climatic features are unique to a basin region. Another climatic feature, which is essential for producing excellent beef, rice and sake, is large temperature fluctuations between day and night. 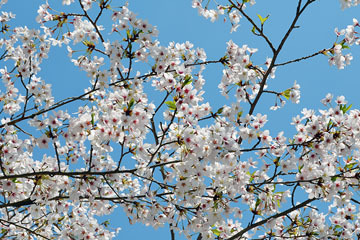 Cherry blossoms can be viewed in various places in Iga City including Ueno Park at the beginning of April. The blossoming period slightly varies slightly from year to year. 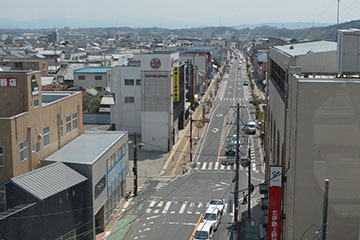 Iga encompasses an area of 558.23 km2, and has a population of approximately 91,000. Since early times, Iga City has been called “Iga no Kuni (The Land of Iga)” which combined with neighboring Nabari City (population approx. 78,000).